across the Pacific. He was to be one of 23 competitors. As the race begins, Tom sails out of the Corinthian Yacht Club in Tiburon, under the Golden Gate Bridge and into the fog. 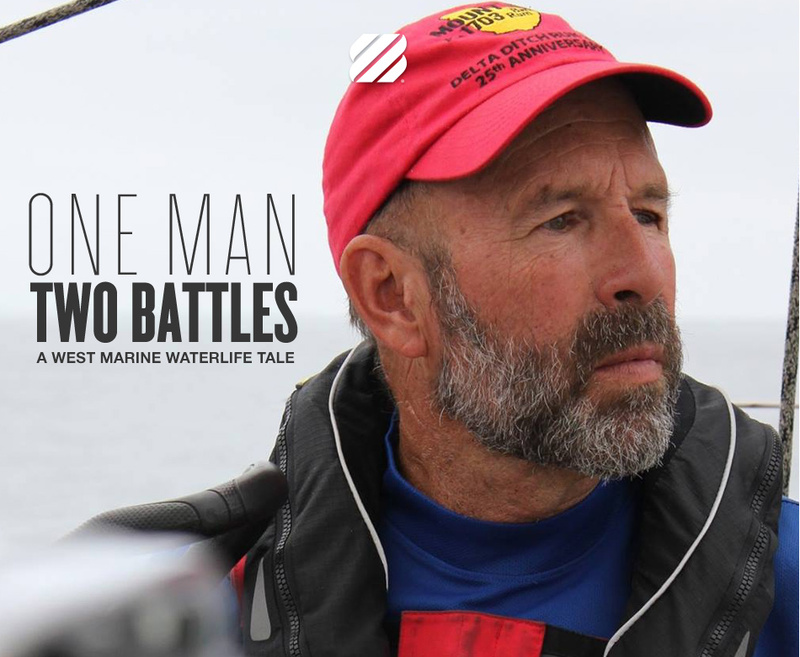 Tom’s a West Marine associate, a West Advisor and no stranger to the sea. 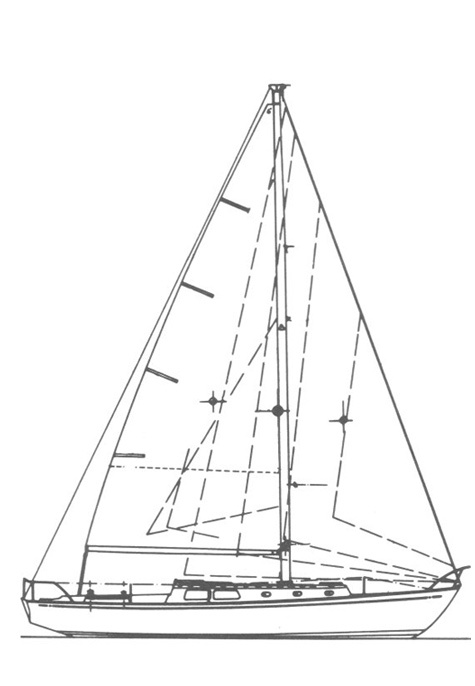 But the prospect of this solo voyage, in spite of all his preparation and experience, is a little daunting. "In 2013 I went through five weeks of daily radiation treatments, followed by two surgeries and seven rounds of chemotherapy." Then again, in March 2015 they found a melanoma on top of Tom’s head. 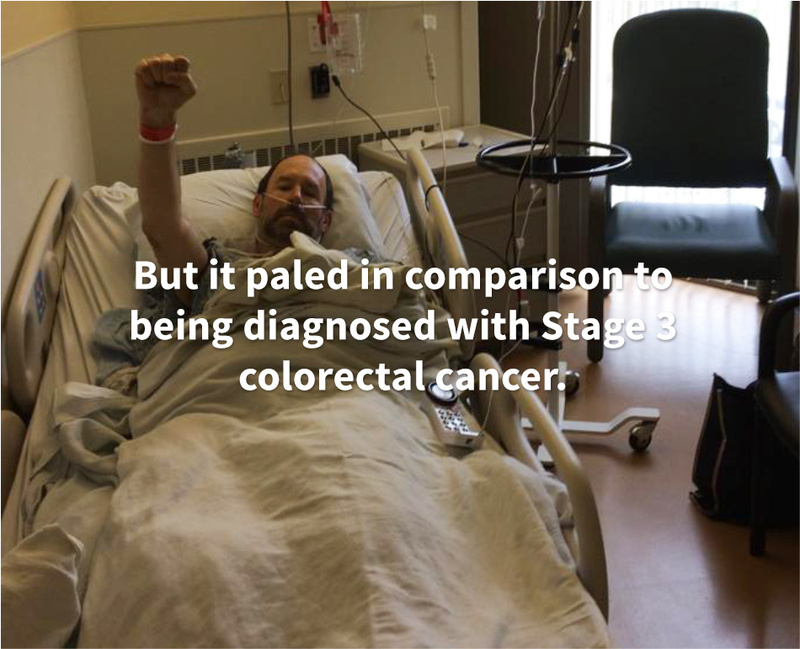 In January 2016 they found a little more of the colon cancer, called an oligometastoid, on Tom’s liver. He needed two more surgeries. 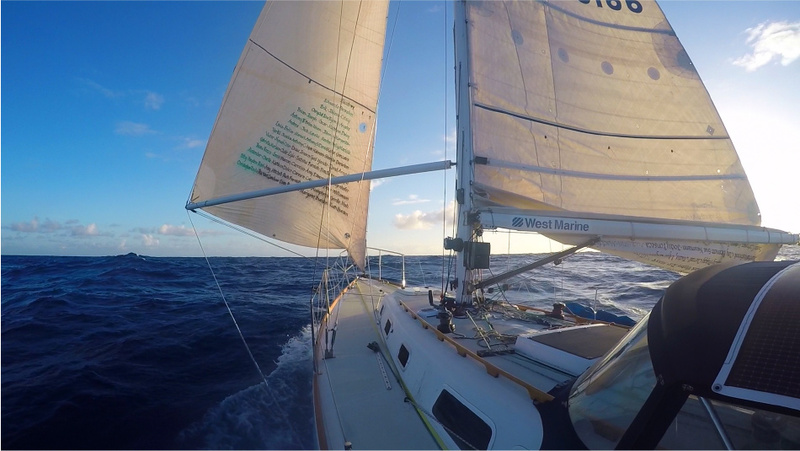 But Tom came through, pissed, defiant, determined to buy the boat of his dreams and take on a challenge that few have accomplished: the Singlehanded Transpac. 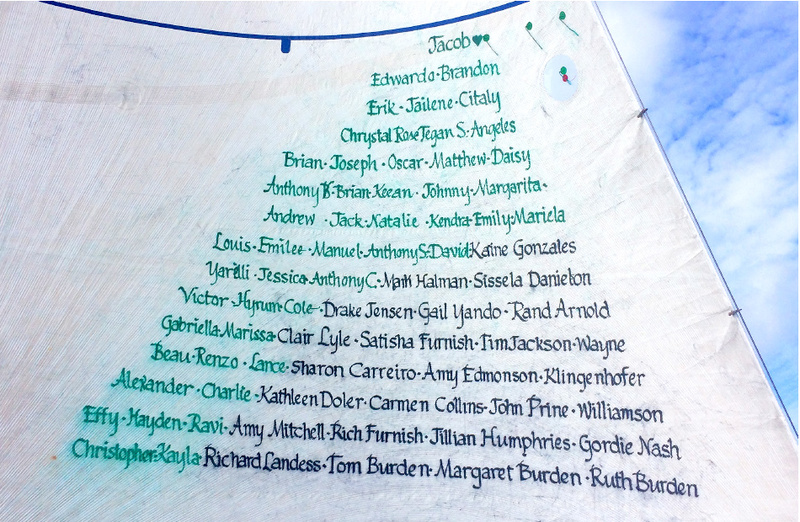 But before setting out, Tom honored his fellow survivors—including his mother and sister—by carrying their names on his jib. The names in green are those of kids. sea, and on to his next great battle.